Everyone has items that need to be stored or displayed. And, while a standard shelf may be able to get the job done, sometimes a more custom piece is the best route. Also, you may not have room for traditional shelving and may have to get creative. This list of the best shelving ideas is sure to satisfy all of your shelving needs. Some of these shelving ideas are simple revamps of existing shelving, while others are true DIY projects. So regardless of your furniture building skills, you will have a couple of options to chose from. Thankfully though, all of these shelving projects come with detailed instructions. 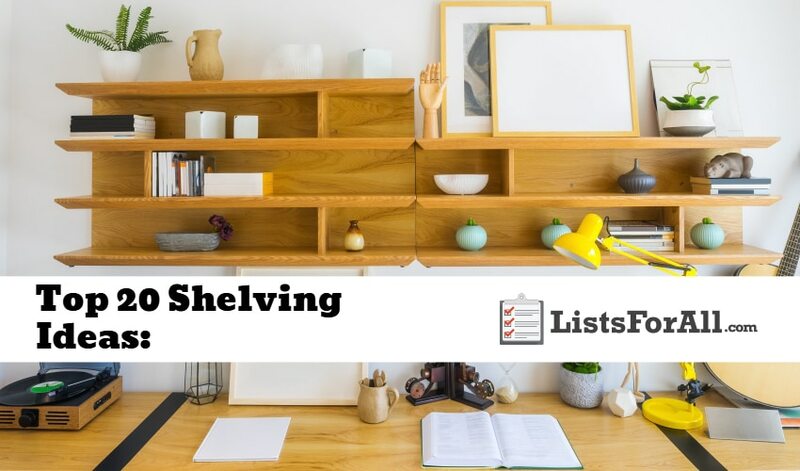 So whether you are looking for a large shelving unit for your living room or a small shelf for your bathroom, this list has you covered. For more DIY, check out our list of the best IKEA hacks. With just a few of these projects, your home will be a stylish and practical space that you will enjoy coming home to. So what are you waiting for? Get started today! Mounted on six upright twin tracks, this custom mounted shelving unit is perfect for a living room. Easily customizable, these instructions allow for different lengths of shelving in different arrangements. Have the wood cut to size at your local supply store, and then stain the pieces in the stain of your choosing. With a little effort, you will have a large, practical, and stylish shelving unit. 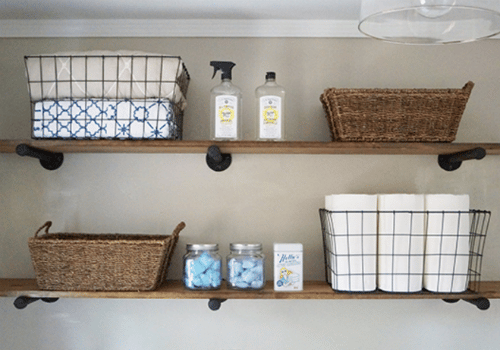 Unique and fun, these leather strap shelves are perfect for narrow spaces. The process to make these shelves is going to be relatively easy as well. Start by cutting the shelves to the right length, hang them with L brackets, and then use leather straps to add an element of style. The straps are reasonably priced and can be found at most craft stores. Industrial shelving has become very popular in recent years, making it pretty pricey when bought in stores. However, these DIY instructions show you how to build your own industrial pipe shelving for a fraction of the cost of premade models. And thankfully, just a quick trip to the hardware store and some simple assembly are all you need to do for this project. 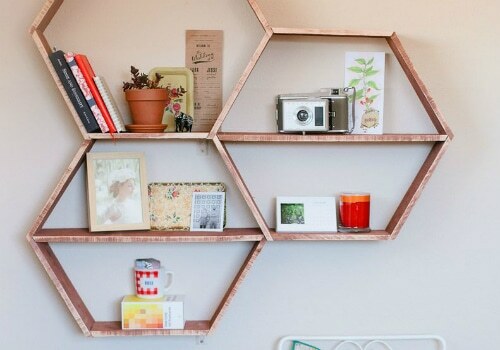 While this honeycomb shelving project is for experienced DIYers, it is a true statement piece. And while these instructions include plans for a three-comb shelf, you can easily add more if you would like to as well. So for a functional conversation piece, this is a shelving idea that you should definitely check out. 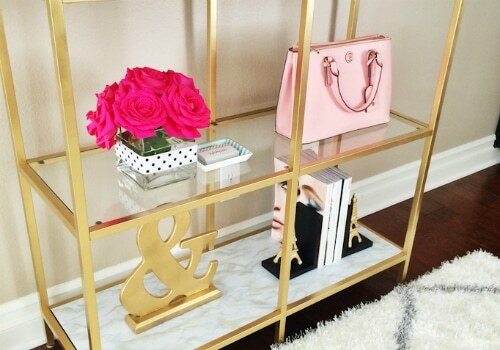 A quick revamp of store-bought shelves produces these stylish gold and marble shelves. Gold spray paint instantly glams up the shelves, while natural marble contact paper provides an elegant looking top. 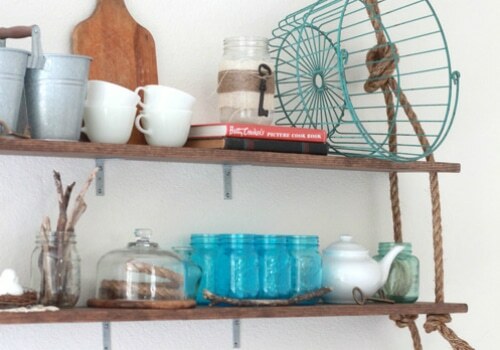 Inexpensive and easy, this shelving idea is perfect for first-time DIYers. 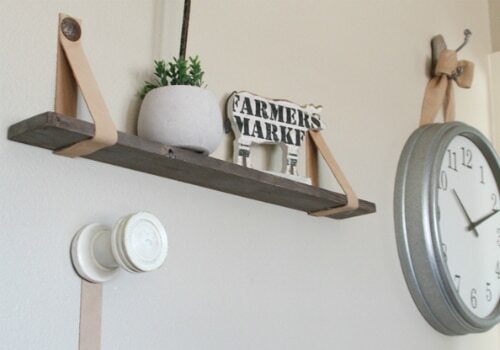 Perfect for rentals, or other places where you can’t install permanent shelving, this rustic hanging shelving is fun and unique. The manila rope that is used is inexpensive and can be bought at most home improvement or craft stores. With the ability to vary the lengths of the boards and the rope this is a truly custom shelving project. Have an old dresser that you don’t use anymore? 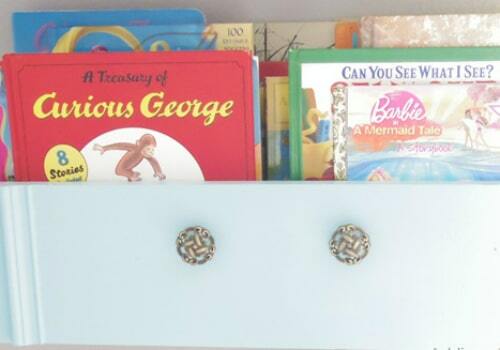 Why not turn the dresser drawers into a fun, new dresser drawer shelving installation? Cleats and drywall anchors keep the shelves secure to the wall, while fun paint and accessories make the shelves a statement piece. This large-scale apple crate display shelving is a fun way to display a number of different items. Once made, this shelving display is also easy to put up and take down as well. So if you are looking for portable shelving, this type of shelving would be a great option. Plus, depending on your needs, you can scale up or scale down the number of shelves. If you have limited space or are looking for a unique shelving design, floating shelves may be perfect for you. And, while not very wide, you are still able to place some larger items on the shelving. Because, even though they have no visible supports, they are still strong. 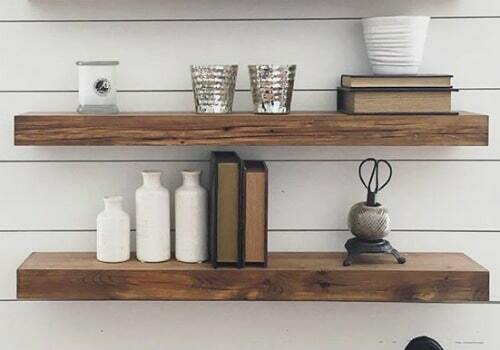 For an even more unique touch, try using reclaimed wood or floating your shelving in the corner. Do you enjoy wine? 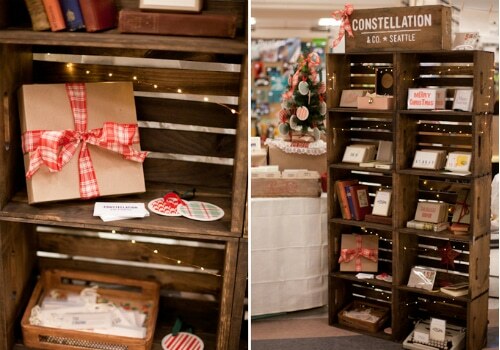 Whether you do or don’t, wine boxes can be turned into some excellent shelving. You will be able to use this shelving for actual storage or for decorative items. Also, with the ability to make a grid of as many wine box shelves as you want, you will be able to have all the storage you can handle. 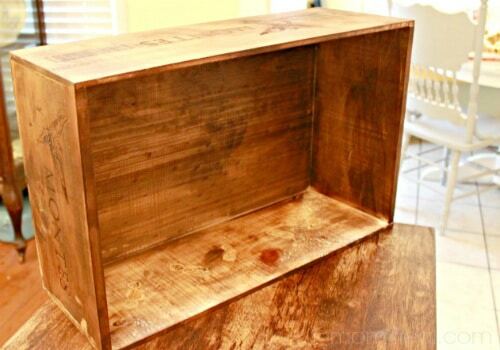 With the ability to stain and paint the boxes as well, you will really be able to customize this shelving. While not for larger items, pegboard shelving is unique and perfect for smaller storage and decorative pieces. This type of shelving is perfect for an entryway and storing keys, hats, etc. or a bedroom where you can store and display different nick nacks. 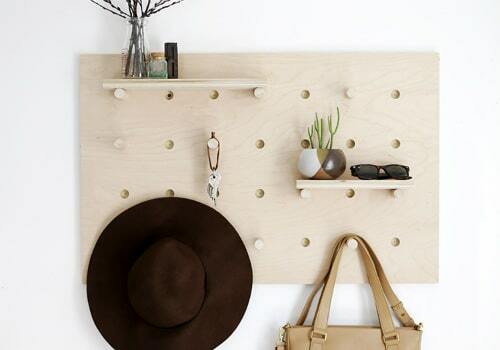 Regardless of where you place it in your house though, Pegboard makes an excellent shelving option. And, with not very much DIY going into it, this is a project that even beginners can take on. 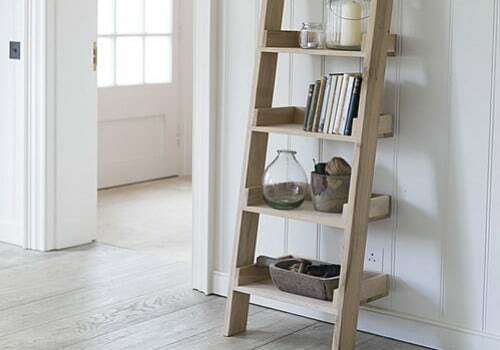 This leaning ladder shelving is going to be the perfect decorative shelving option. You will be able to store books, candles, collectibles and more, all on unique ladder shelving. The open shelves will allow you to proudly display different items in community living spaces or bedrooms. This ladder shelving is also an excellent option for bathrooms. On the ladder, you will be able to provide guests with all the necessities like towels and a scented candle, as well as decorative pieces. A house is more than just a structure, it is a home. 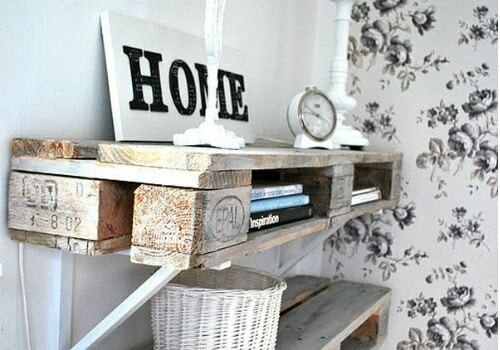 This DIY shelving option is going to allow you to showcase your love for your home by making shelving that spell out the word “HOME.” And, while this project is a little bit more work than some, it is very cost friendly. If you have a couple of old pallets laying around, you have the majority of what you need. With the ability to stain and paint the shelving as well, you will be able to customize it to fit your home design. Corbels are an excellent way to add some character and detail to your home. And, while you could do them in every corner of your house, this can get expensive quick. Using them with shelving is going to be the perfect compromise. 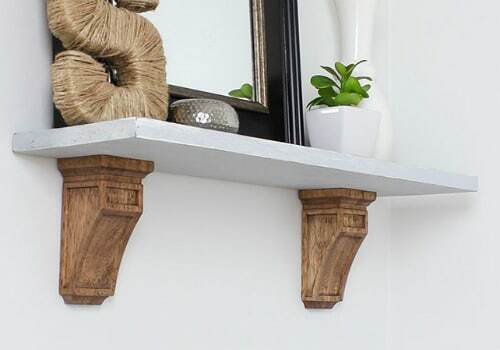 Don’t worry either; this DIY is going to call for you to purchase your corbels and then put everything together, you won’t have to make them yourself. So if you are looking to introduce some more detail into a living space, try corbel shelving. 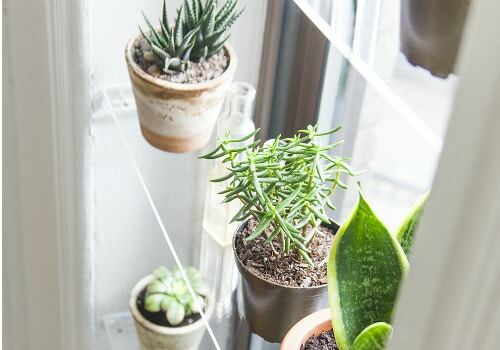 Do you love house plants and greenery? If so, these floating window shelves are for you. And, while they are excellent for small plants like succulents, cactuses, etc. they are also perfect for displaying other smaller items as well. With just a little bit of DIY know-how, you can turn a boring window into a unique conversation starting piece. If you seem to never have enough room for storage, this shelving option is going to be an excellent option for you. 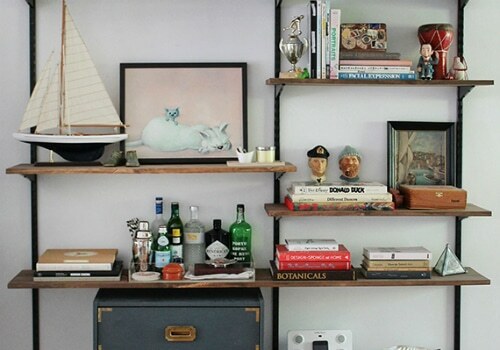 This shelving is equal parts storage and decorative display. You will be able to use the compartments to store books, boxes, etc. or different decorative items that you may have. 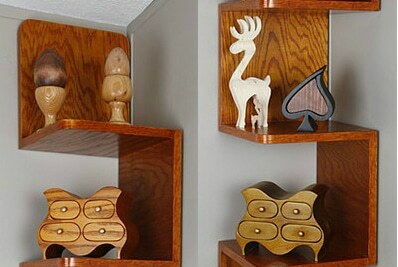 Also, with the ability to create several of these storage shelves, you can create as much shelving as you need. 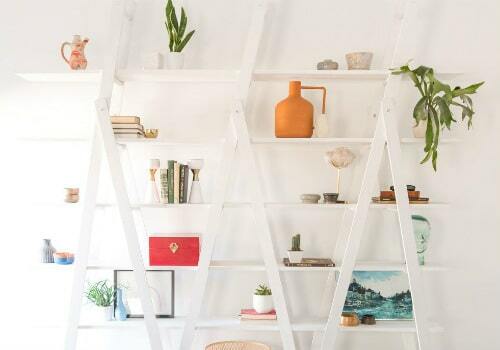 If you are looking for a statement piece, look no further than this A-frame ladder shelving. With as much storage as it offers, it will be like having a portable built-in. And while this is more for expert DIYer’s, if you do take on this project, it will be well worth it in the end. Just make sure that you have enough items to fill up all the awesome shelving you are about to create! Pallet shelving is great for a few different reasons. The two biggest though, are its uniqueness and cost. Pallet shelving is able to used in a variety of different ways to create unique shelving. Whether it is put up as a whole piece, or cut into pieces and mounted on brackets, there are plenty of options to choose from. When it comes to cost, if you know where to look, you can usually find all of the free pallets that you can handle. Hard to beat free when it comes to cost. If you have some scrap wood for small picture boxes and some old frames, you are well on your way to completing these fun frame shelves. These shelves add a nice decorative element to any room and depending on the depth of your boxes, they can also be quite functional. 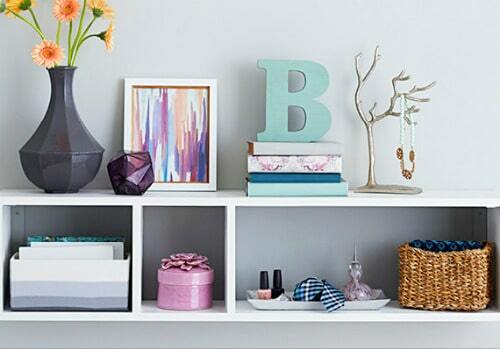 Great for small spaces, these zigzag shelves are probably best done by someone with some carpentry skills. 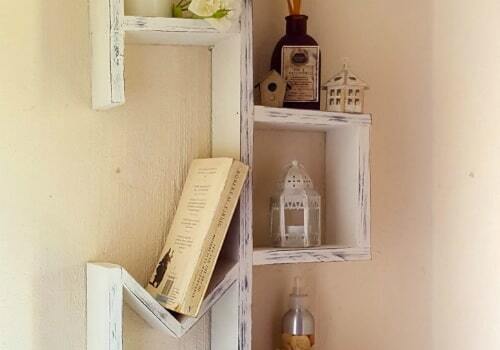 If you do have the DIY skill though, these shelves are excellent pieces. Also, the instructions call for a 45-degree angle cleat system, so no drill holes are visible on the shelves. So for a unique shelving idea, this is a great option. For some reason, it seems that there is never quite enough storage room or places to put things in a home. Well not anymore. This list will be able to satisfy all of your shelving needs. And, with this list having so many different shelving options, you will be able to find the perfect shelving solution for you. So whether you are looking for some extra storage or a statement piece for a room, this list will have you covered. We would love to hear how any of these shelving projects turned out for you. So please feel free to share your experience in the comments below.